With this Blog I would like to provide some general information on the lifecylce of this release as well as information on the new features coming with 7.60. Basically this is a preview of the release notes document that we will provide soon. Due to the huge effort required for this, we could not implement multi-monitor DPI awareness in time, but this is one of our next main focus topics. Additionally we will continue our work on SAP Screen Personas features to close even more gaps compared to SAP GUI for HTML. SAP GUI for Windows 7.60 was created with Microsoft Visual Studio 2017 which is in mainstream support by Microsoft until 12th of April 2022 (see also https://support.microsoft.com/en-US/lifecycle/search?alpha=visual%20studio%202017). Therefore, SAP GUI for Windows 7.60 is supported until 12th of April 2022. The chart below shows the current dates (on 2nd of January 2019) for the lifecycle of SAP GUI for Windows releases 7.40 up to 7.60. For the latest information always refer to SAP Note 147519. Belize can be used for all SAP products which are presently supported by SAP and is now the default theme for all SAP products. Since certain “Fiori Features” are only available in SAP S/4HANA products, these features cannot be activated when using Belize for other SAP products (“Belize without Fiori Features”). The following features (among) others are not available when “Belize without Fiori Features” is used. The impact of the absence of each feature is mentioned in the second column of the table. Automatic wide rendering of UI elements No element is automatically enlarged. Screens are displayed just like in older SAP GUI themes. Bigger screen metrics The screen metric (line height) is smaller than in standard Belize to show a good amount of data on the screen also in applications which have not been adjusted to Belize. However, it is larger than in themes like Blue Crystal. View Switch The View Switch is not available. Items in a View Switch are displayed as buttons in the header toolbar. Displaying buttons with text All buttons in the header of the main window and in the footer of popups are displayed as specified by the application. This means that buttons are displayed with their icons again. Hiding certain buttons from the UI The paging buttons, the “New GUI window” button and the “Generates shortcut” button are displayed in the header toolbar. / orange border around the fields Errors and warnings are indicated via a changed text color only. Right-alignment of labels Labels are by default left aligned and are connected to the respective fields via an underline. Thus, in “Belize without Fiori Features”, SAP GUI behaves almost like when using older SAP GUI themes, but it is coming with a modern Belize look and some advanced features like the merged input history / enhanced search. You can decide using Belize without Fiori Features for all SAP products including SAP S/4HANA if you want to reach full UI consistency. SAP Logon (Pad) and all SAP Logon dialogs are displayed with a full Belize visualization. Since the SAP Logon dialogs are also used in SAP Business Client when SAP GUI Connections are defined, the display when running SAP Business Client with Belize is now much more harmonized. 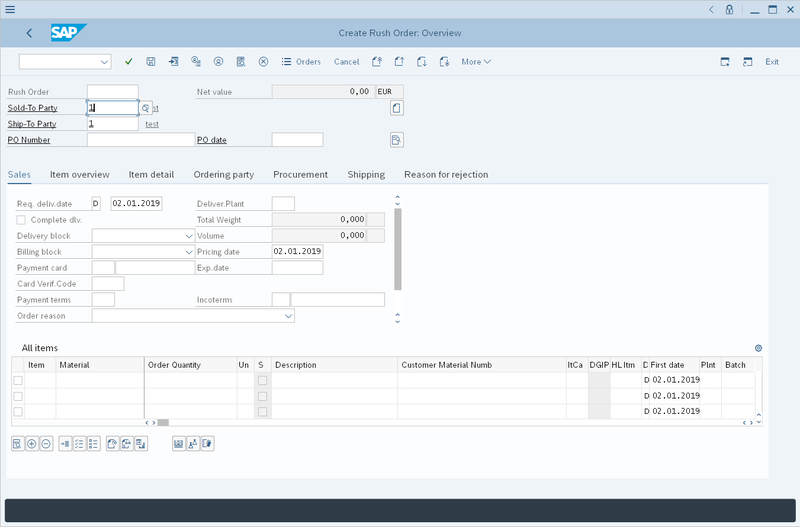 SAP GUI options dialog shows a full Belize visualization. This feature is activated by default but can be turned off via the SAP GUI Options Dialog. Scrollbuttons for scrollbars have been introduced so that fine-grained scrolling is possible. Borders around group boxes have been introduced to simplify the recognition of the structure. 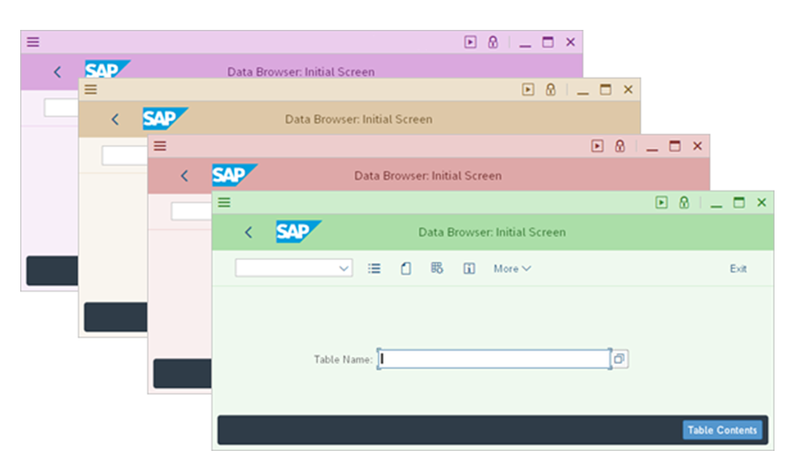 Fiori Re-Use Components (SAP UI5 applications embedded in SAP GUI) can now hide the footer bar of SAP GUI for Windows so that only a single footer bar is displayed instead of two. The default proportional font of Belize is now “72”, a font specifically developed for Belize. Previously Arial was used. The features “Color Settings” and “Colors in System” can now be used for Belize. 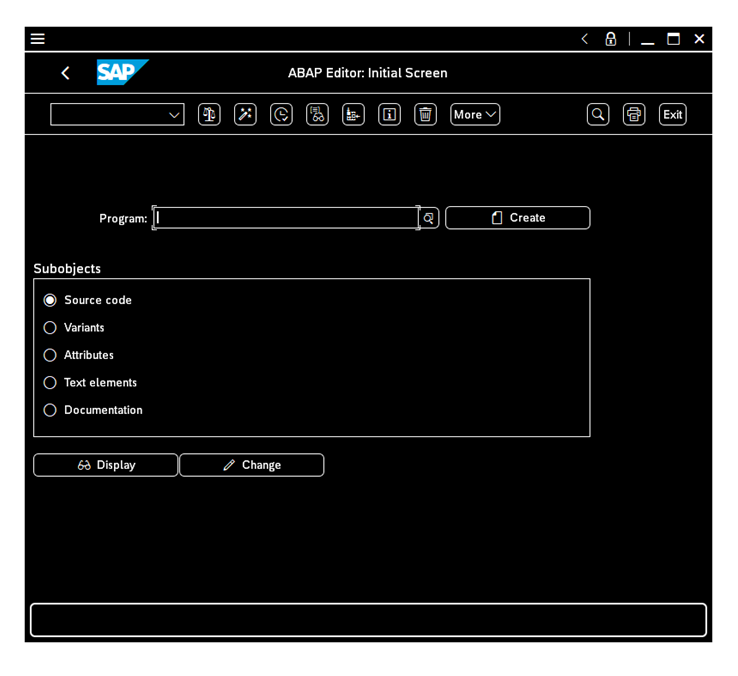 These features allow users and administrators to configure SAP GUI / the SAP System so that different colors schemes can be used for the SAP GUI window when logging on to the system (see SAP Note 2571622 for more information). The feature “Colors in System” can now be used for Blue Crystal Theme as well. This feature allows the administrator to configure a default setting within the SAP System which defines the color scheme used for the SAP GUI window when logging on to this system (see SAP Note 2571622 for more information). The Belize theme is released for usage in Accessibility Mode with a Screenreader software (minimum requirement for the SAP Screenreader Extensions is patchlevel 51). For using this, you also need to enable a Windows High Contrast Black theme. For using this, you also need to enable a Windows High Contrast White theme. The audio feedback in SAP GUI can be configured via a dedicated page in the SAP GUI options dialog. The default setting for the SAP GUI sounds was changed to “On” in case the accessibility mode is activated. The page in options dialog allows selecting the most suitable sound from 4 new sound schemes or from the hard-disk. An administrator can roll out dedicated sound files via adding them to the SAP GUI installation (see SAP Note 2724540 for more information). The Grid View Control now offers an input history like edit fields or table control cells already do. The input history is persisted per column and allows an easy re-use of values which are frequently entered by the user. Various improvements have been implemented for the support of SAP Screen Personas in SAP GUI for Windows. See SAP Note 2080071 for more information. Especially in the area of scripting a lot has been done that is very difficult to reflect in the SAP Note mentioned above. What we have not been able to achieve with release 7.60 is to support the Belize specific features in SAP Screen Personas. 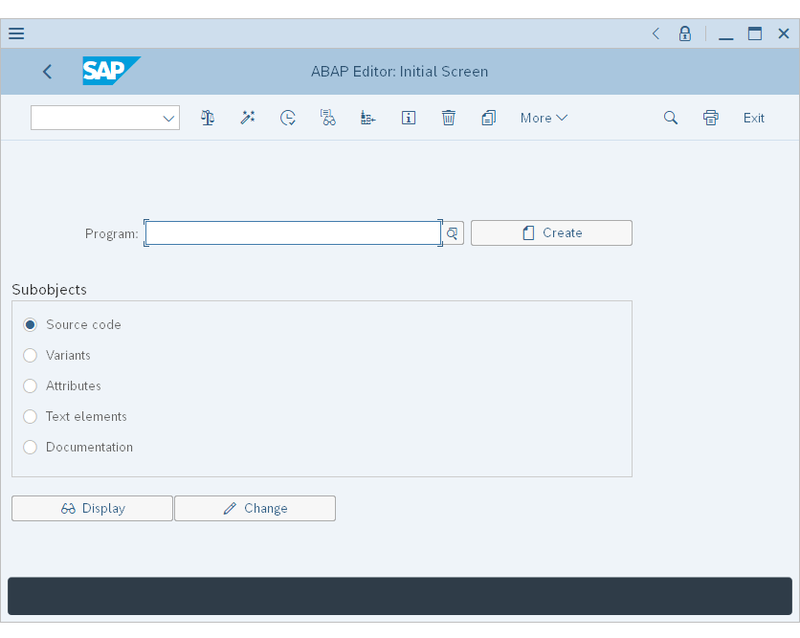 When running an FLP connection or a Business Client connection, the SAP Business Client 7.0 (or newer) can propagate a branding image contained in a custom theme to SAP GUI. SAP GUI displays this branding image just like it would display a branding image defined via SAP GUI options dialog. If both are defined, the image coming from SAP Business Client is displayed. The SAP GUI end user help and the SAP GUI Scripting API help are no longer delivered as .chm documents, but as a collection of HTML documents. This improves the usability of the SAP GUI help and allows adjustments of the help if needed (see also SAP Note 487546). SAP GUI for Windows now offers a product page on SAP Help Portal. The product page contains links to all relevant SAP GUI documents and will be made public shortly prior to the shipment of SAP GUI for Windows 7.60. Administrators can decide not to install the local SAP GUI help, but instead use the help from SAP Help Portal or a help deployed on a local web server. See SAP Note 487546 for more information. A new page (“Restore & Clean-up”) in the options dialog allows restoring SAP GUI default settings and delete locally stored files conveniently. The previously existing “Restore Defaults” button in the footer has been removed. The new API provided in SAP Note 2576243 (“List of application server and logon group with full qualified hostnames”) is supported. This means that SAP GUI gets the fully qualified hostnames of the application servers from the message server. With this approach, sometimes incorrect “guessing” of domain extensions no longer happens. The “Workspace View” is the new default view in SAP Logon (Pad). This view is best suited for the usage of SAP UI Landscape files (which may contain multiple workspaces). 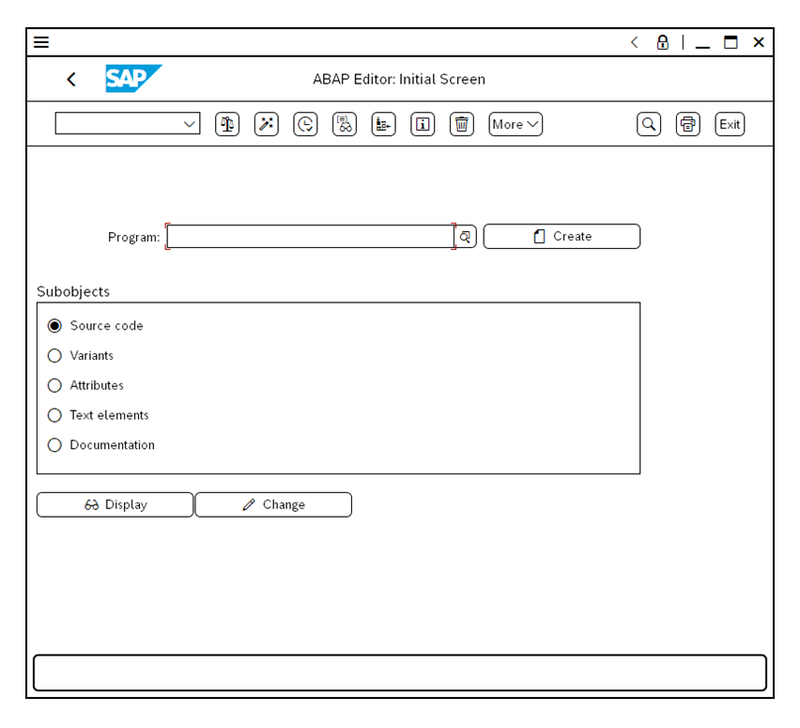 “Default view” means that if no other selection has been made by the user or via installation settings, SAP Logon (Pad) will be displaying this view. It also means that a user selection that differs from the previous default view will be respected during an upgrade. The SAP system supports Secure Network Communication. The default setting for the display of warning messages when a central landscape cannot be loaded, but a valid file can be retrieved from the local cache was changed so that end-users by default no longer get a warning message. See SAP Note 2257512 for more information. Enjoy / Streamline / Tradeshow / SystemDependent: These themes have been removed from the delivery of SAP GUI for Windows as of release 7.60. You can instead use one of the other themes (like the default theme Belize). If Enjoy or one of the other themes mentioned before was selected prior to an upgrade, the default theme (Belize) is used instead. ini: The saplogon.ini format is no longer supported as of SAP GUI for Windows 7.60. 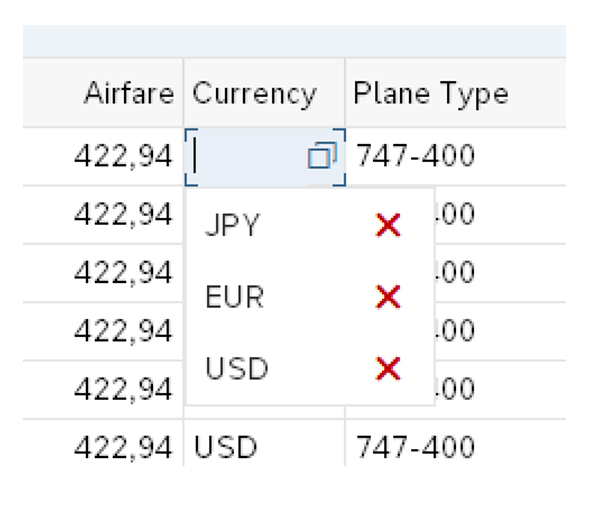 Since SAP GUI for Windows 7.40 a new connection format (“SAP UI Landscape”) is available. This new format became the default format in SAP GUI for Windows 7.50 and replaces the saplogon.ini format. See the “SAP Front End Installation Guide” or the “SAP UI Landscape Configuration Guide” for more information on how to use “SAP UI Landscape”. In release 7.60 the functionality for creating and reading saplogon.ini is still available for compatibility reasons with other components, but the usage in SAP GUI for Windows is no longer supported. Visual Enterprise Viewer: This component is no longer part of the Presentation DVD. If you need the Visual Enterprise Viewer, you can download it individually from SAP Support Portal and add it to an existing NWSAPSetup Installation server. Then you can create an installation package containing both components. For more information, see the SAP Frontend Installation Guide. The component “SAP Audit Management” is obsolete and has been removed from the SAP GUI Installation (see SAP Note 2185469 for more information). I am looking forward to trying out the Belize theme. Looking at the screenshots: am I correct that the menu bar is hidden behind another button like in SAP GUI for Java / HTML / Business Client? Or is there a setting for this? I always found that annoying and stayed with SAP GUI for Windows. Especially in transactions where all navigation is done using the menu items and the screen is empty (thinking of VOFM/VOK0/FIBF). yes, in Belize theme there is no menu bar anymore. The menu has been moved into the overflow menu which is hidden behind the “More” button. This is part of the design of the Belize theme and basically the idea is that applications should not require massive usage of the menu, because the most important functions should be directly accessible for the application toolbar or the system toolbar (in Belize the header toolbar or the footer toolbar). Yes, I agree with these considerations, almost 90% of customizing transactions use an SAP UI interface in “old” (but non very old!!) style, that before this Belize UI was more usable. It would be superficial not to consider it. I agree with this! Our customers need that menu bar. The new theme will not be used unless the old menu bar is offered. Simply add an additonal option for that purpose. That would work fine. Anyways the Belize theme looks very good! Has the required CRM functionlity been merged with the main GUI component, or is there now another component for these CRM functions? Both files are now part of the core GUI installation. is there a chance, that the “Belize without Fiori Features” also comes for SAPGUI for HTML (WEBGUI) and older kernel / NW <7.51 (e.g. 7.40/7.50) releases? I am not responsible for SAP GUI for HTML and therefore my answer is not worth much, but as far as I can tell this will not come for any older SAP products in SAP GUI for HTML. At least one thing is certain: This cannot come in any older SAP Kernel release, because Belize was a massive development that would definitely cause a lot of problems in older SAP Kernel releases if it was downported. For SAP GUI for Windows the situation is different, because you are using the same SAP GUI version for all your connections. Therefore, we “only” had to take the existing Belize theme and make it compatible and look good for all products. With SAP ERP 6.0 EHP8 we use already Kernel 7.53, but with NW750. Belize “Fiori 2.0 Visual Theme for Classical Applications” with SAP GUI for HTML need Kernel 7.49 > and NW 751 >. SAP GUI for HTML + Belize “Fiori 2.0 Visual Theme for Classical Applications” use other metrics and some other changes, so also DYNPRO applications must adopted slighty. (Done with S/4HANA). Therefore the question for SAP GUI for HTML + “Belize without Fiori Features”. So, analogous to SAP GUI 7.60, no changes at application side are nessecary. If customer use SAP Fiori front end Server 2.0/3.0 + different SAP backends and want use theme Belize consistently, they must it configured so, that für classic applications SAP GUI 7.60 is called and not SAP GUI for HTML. right, theoretically such a development would be possible in SAP GUI for HTML, too (for those SAP Kernels which already contain the Belize theme). However, you would still have to consider that some development effort would be required (new metrics for example) and that this would not be suitable for delivered releases. In SAP GUI for Windows we are doing all of this in a new release only and I believe this is the only feasible approach. But again: I cannot comment on the strategy for SAP GUI for HTML. So, multi-monitors DPI awareness won’t be implemented in SAPGUI 7.6 but what about the other DPI problem? Does it means that SAPGUI 7.6 UI icons still won’t be properly upscaled when DPI > 100% is used in Windows? yes, multi-monitor DPI awareness is not contained in 7.60, but we have started working on this topic. Since there are a lot of places to be fixed, I doubt that we can downport such a feature into a delivered release, but we shall see. As mentioned in SAP Note 2541592 this feature is contained in SAP GUI for Windows 7.60. However, this has nothing to do with icons. This is just about the line height. The SAP GUI icons are displayed via an icon font since Blue Crystal theme and they are of course scaled. Even the old bitmaps in older themes are scaled – despite the fact that this is looking very ugly when using relatively high DPI settings. And this is one of the main reasons why I strongly recommend Blue Crystal or Belize Themes when using DPI > 100%. Because nobody asked for it. So far the branding feature was used to apply a brand image and this is typically not different per system. What is your concrete idea behind this question? you mentioned above that the SAPLOGON.ini will not longer usable under SAP GUI 7.60. Is the transformation from SAPLOGON.INI to SAPLandscape.XML still possibile under 7.60? And is the function working as in the older SAP GUI release’s? We have a few SAPLOGON.INI’s, which are permamently updated with new SAP Systems, afterwards the new SAPLOGON.INI will be distributed to the Users. yes, the “migration” is still possible and it is still working just like before. In the past SAP’s IT department also distributed a saplogon.ini file, but we moved this to a centralized (server based) SAP UI Landscape file. This is more convenient for all involved parties. And we also have the transaction SLMT which allows the maintenance of SAP UI Landscape files within an SAP system. As far as i am concerd the transaction SLMT does not offer any multilanguage features for the landscape file. So every subsidary need a different file for the description field. Are there any plans to make the file multilangual ? I would suggest adding a workspace for each location (and adding the translated descriptions there), would that work? that is a possible solution, but in my opinion the file or the client should offer a multi language option. This Server configuration File settings will be set for the users by Software deployment tools. our plan is to do this on Monday, 25th of February 2019. Maybe you check our SAP Support Portal on the afternoon of 25th of February. Will the version support Office 2019 products? that is a more complex question than it seems, because the SAP GUI DVD includes multiple components which support Office. Since I am only responsible for the core part of SAP GUI, I will only tell you about the SAP Desktop Office Integration (“DOI”) which indeed supports Office 2019 (however, the DOI also supports this in SAP GUI for Windows 7.50). See SAP Note 722513 for more information. We also have a document on the DVD (in folder “DOCU”) which lists all the dependencies to Office. I recommend that you check this document (“Microsoft Office Dependencies of SAP GUI 7.60 Components.pdf”) as soon as the DVD is available next Monday. Anybody able to see the download yet? I’m still seeing no data available. just try the url provided by Frank at the beginning of this post. It worked fine for me (you need to log in). I definitely appreciate the reintroduction of icons in SAP GUI 7.60! I am sure a lot other users will like this too. This option will really improve usability. In package SAPGUI 760 Presentation – 7.60 Compilation 1 Presentation 1 (50148617_6.ZIP) I miss the SAPPDFPRINT, which was still included in SAPGUI 7.50. Also, SAPPDFPRINT 7.60 is not available in the download area, but in Note 2724788 is mention SAPPDFPRINT 760 Patch 0. Will it come at a later date or will it not exist anymore? SAPSprint and PDFPrint will come at a later point ot time. I cannot tell when, because this is not under responsibility of the SAP GUI team. In Objected orianted ALV custom buttoms are missing when we use Belize Theme . Performance of SE16n also have impact , while fetching results it is taking more than normal time ( 60 Seconds . When using SAPGUI 750 10 Sec) even for 2 entries , and in trace we can see that OLEFLUSH is taking most of the time. Any suggestions on how to correct above ? the performance issue has been noticed by others, too. We are presently working on this. Regarding the icons I would suggest that you open an incident on component BC-FES-CTL for this. So far we haven’t heard about such an issue and need to investigate this. in PA20 and PA30, the direct Selection field crosses the field and skips to the above field. I guess you are referring to the “Direct Selection” group box. If this is true: This is an application issue. The issue is more obvious in Belize theme due to the changed metrics, but even in Blue Crystal you can see that it looks somewhat “compressed”. The Dynpro size check (SAP Note 570861) shows a sizing conflict on the screen that needs to be analyzed and fixed within the application. Regarding CTRL + A: We are not aware of this and I cannot reproduce this for example in input fields. Please report an incident in the SAP support system if you can reproduce the issue and explain in detail how to reproduce this. Before doing this, you may check whether CTRL + A is working in other tools, because in some cases other tools installed on the client are “stealing” certain keyboard shortcuts. CTRL + A issue is fixed after I tried multiple options and finally reset it to defaults. Does anyone know how “big” companies with lots of Sapgui users (+10000), package and distribute Sapgui and other SAP clients in a global environment? Is it with SAP installation server or Microsoft SCCM, or a combination of these 2. Or some other ways? For creating the installation package EXE in the first place, I would imagine all companies use the Installation Server. For distribution, it all comes down to whatever system they have in place for mass-computer management, be it SCCM, Active Directory Group Policy, or a third-party tool like Citrix. However, from my somewhat limited experience in enterprise, SCCM is likely the most used by some margin. I wonder if you use SAPUI5 to render UI locally using electronjs.org or something similar which emulates html browser/engine? I have tried out SAP Gui 7.6 + NWBC 7.0 and i have encountered 2 issues. Seems to be a problem with .NET framework.. has anyone experienced this? We have an ongoing issue with our existing SAP 740 version, SSL application (Spreadsheet Loader Excel based solution), we planned to replace SAP 750 version. We found an issue in the SSL application with SAP GUI 750 compare to the SAP version 740. When we connect to SAP system in few languages (Japanese, Chinese Etc.) then language related texts are not displaying properly. Since, to fix this issue we’ve been working with SAP for quite a long time and now we have arrived at a point where we should consider upgrading to 760 instead of 750. What is your recommendation on this, do you have a plan on a working model with Spreadsheet Loader with 760 version. I am not aware of this issue and cannot comment that. I do not know what “the SSL application” is or who is responsible for it. This does not sound as if this belongs to SAP GUI, but that this is rather an application built on top. I could imagine that this might be related to SAP Note 2256415 (if this application is using the RFC controls), but that is just a guess. The right approach is to create a customer incident and follow-up on that.